The lowdown: Energetic and self-aggrandising, the story of legendary rap outfit N.W.A arrives with all the posturing and anger befitting the group who lit a fire under 1980s pop culture. Following the standard rags-to-riches biopic plotline, the police discrimination and re-enactments of the post-Rodney King LA riots nonetheless pack a 9mm punch due to their on-going relevance. But, for characters this larger-than-life a warts n’ all telling of their story would have been spicier than merely printing the legend. 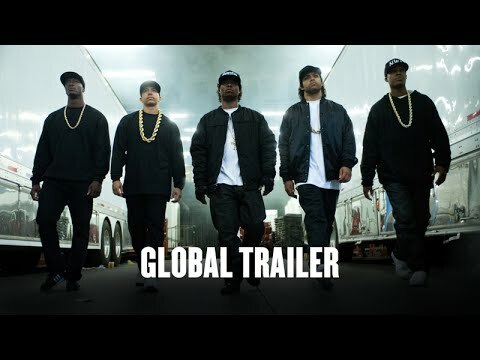 The full verdict: With Ice Cube, Dr. Dre and Eazy-E’s widow Tomica Woods-Wright on producing detail, and close friend F. Gary Gray directing it’s unsurprising Straight Outta Compton is thoroughly an authorised version of “the world’s most dangerous group”. In is a wealth of dream pursuance in the face of adversity, guy code bravado, zeitgeist defining music, and melodramatic grandstanding when money conflicts and unchecked egotism crack the incendiary group. But, there is no room for reflection on the misogyny and homophobia soaked into the music, gangsta glamourisation, or Dr. Dre’s spousal abuse or assault of Dee Barnes. The very public spats various members had when friendships went south seem de-fanged in the warm glow of nostalgia. Even one of the founding members, Arabian Prince, has been airbrushed from this re-telling. 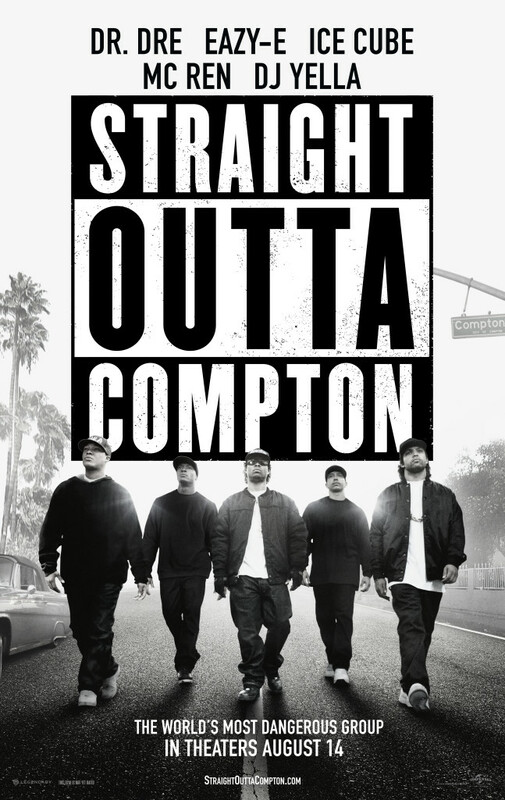 Yet Straight Outta Compton works as a vivid retelling of recent American history. So, we see the formation of N.W.A largely through from the viewpoint of key members DJ Andre Young, aka Dr. Dre (Hawkins), low level drug runner Eric Wright, aka Eazy-E (Mitchell) and Shea Jackson aka Ice Cube (Jackson Jr, Cube’s real life son). With songs ripped from life experience, their “reality rap” revolves around police brutality, drugs, guns and life in the poorhouse. This gets the attention of Jerry Heller (Giamatti), a small-time record producer who pushes the group onto the national stage. It also draws the attention of the police and the FBI, on-hand to spoil the party by busting up concerts and making unprovoked arrests. And Suge Knight (Taylor), the co-founder of Death Row Records with Dr. Dre, and arguably as big a bad guy as the nightstick happy LAPD. An adrenalised first half leads to a sombre later section, when the fun fizzles out and Knight takes over the rap scene with intimidation and ultraviolence, transforming the offices of Death Row into Dante’s Inferno. In a bizarre case of life imitating art, Knight is currently up on murder and attempted murder charges for running over two acquaintances after an argument on the set of this film. Heller is also portrayed as a nominal bad guy, creaming off profits owed to the band, although his paternal relationship with Eazy-E provides some of the best dramatic moments. Giamatti’s performance grounds the film, allowing the younger cast to hit melodramatic heights, even if they occasional wobble under the emotional heavy lifting required in the final act. Mitchell and Jackson, Jr take the honours for the junior players, Jackson uncannily invoking the surly bravado of dad in his youthful prime. Flavourful and flawed but not outstaying its 147 minute run time, the closing archive footage does leave you yearning for an objective hip-hop documentary to tell the real story.